Love this shot of JKO from August 1970! 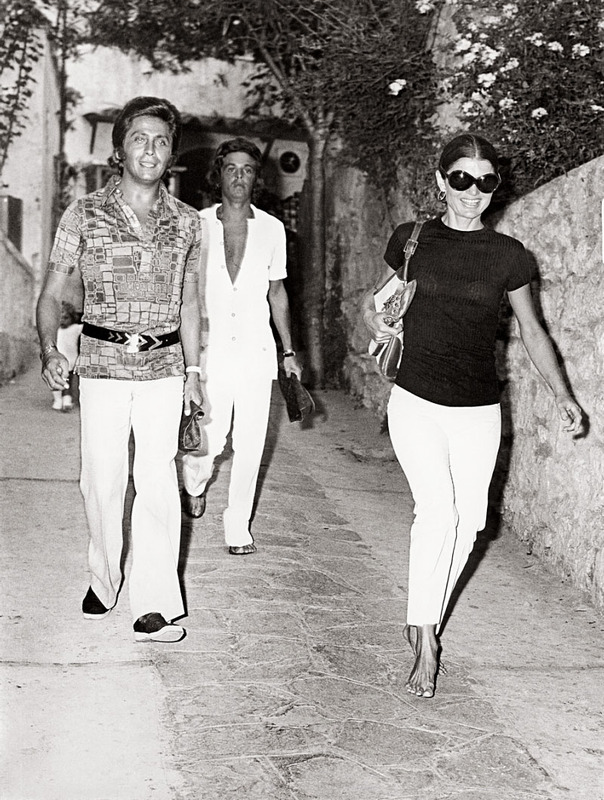 One of my favorite pictures of Jackie O ever is this photo from August 1970 when Jackie was visiting Capri and the paparazzi got photos of her walking with Valentino Garavani, the fashion designer, along with his partner, Giancarlo Giammettti. Let Jackie’s casually glamorous take on cropped pants be your friendly reminder that August’s “How I Wear My” is all about cropped pants style! Send photos to Adrienne and me by August 8, 2016 at howiwearmy@yahoo.com and be sure to tell us a little about your outfit! Its funny, the guys outfits seem dated. But, Jackie's outfit 46 years later is still classic & on-trend. With her coloring & figure, Jackie knew exactly what worked for her with a little (a lot) of help from her designer friends. I wear a little black tee & white cropped pants in warm weather at least 2x a week. Its just so easy. That is a classic look and perfect for her but as The Flower of Anglo-Saxon chivalry,I've always preferred her as Jackie Bouvier being quite worthy of her own identity rather than those 2 men of questionable character who coveted her for the class & dignity she reflected on them. That look is so classy! I saw a beautiful black cropped pants I want to buy! 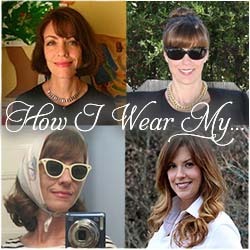 Perhaps I should wear otit theher way round, with a white top!